I was lured to Atlanta in 1978 to manage recording studio, Axis Sound. I was mainly there to produce and guide the career of blue-eyed soul singer Len Wade. Over the next two years Wade slowly worked his way into recording a total of six tracks. Through time, I was able to record ten tracks under my own name. Those sessions were incredibly productive. The Atlanta sessions covered my interests in dance, fusion jazz, reggae, New Orleans funk and after midnight jazz. Three divergent rhythm sections exploded on those dates. One featuring reggae 'hall of famers', drummer Everton 'Pablo' Paul and guitarist, Wayne McGhie. The second session featured Tom Cosgrove from the Bronx, guitar. Tom cut his teeth with Todd Rundgren and Lou Reed. Atlanta drummer Bryan Holmes of the Producers. Local legend Ricky Keller bass. Keller was not only a magnificent bassist but a fine arranger who would go one to garner an Emmy. Ricky wrote string parts for Bruce Springsteen’s; The Rising, also for Train, Outkast, Stone Temple Pilots and others. Keller passed away in 2003. I was looking ahead to the next decade, the year 1980 and imagining where dance, jazz and funk would converge. I saw us exploring nearby planets - anticipating a miraculous ‘funk landing’. I heard a sound laced with a smacking groove, deep funk bass, layers of extraterrestrial syth keyboards, and an emphatic Memphis style rhythm guitar. Star Planet Funk remains a witness to that era and those Atlanta players who were there for the music in a city that regarded artists as baggage. Low wages, few opportunities. 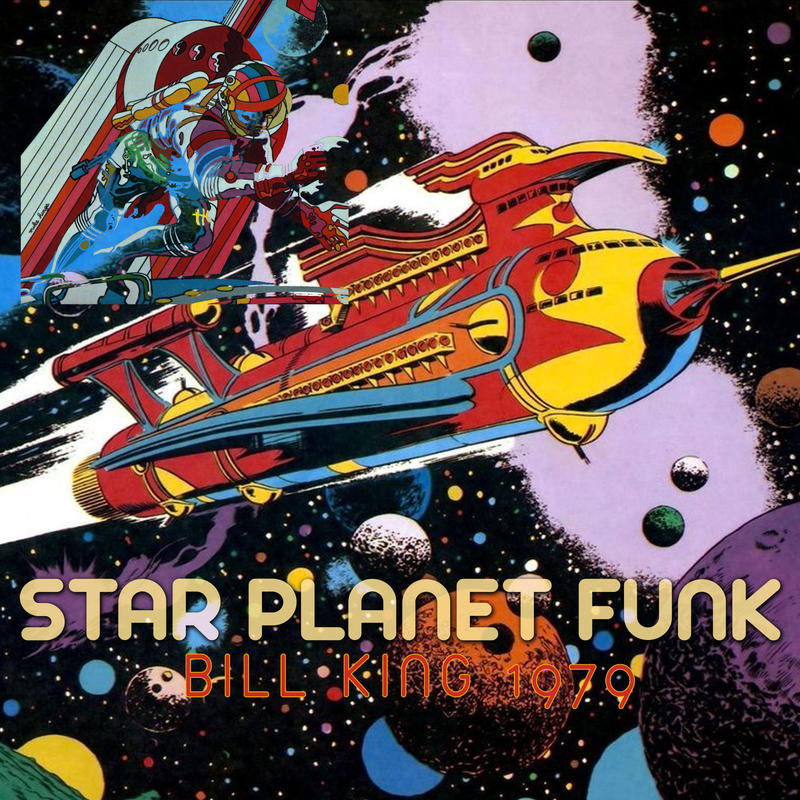 Star Planet Funk (1980) was released on an LP - Bill King – Before and After Dark on the Equity label. A label designed to give doctors and lawyers a tax write-off if they invest. Few copies were pressed, and all was but forgotten. As with my previous release Sawbuck, 1974, only one copy of the original recording remains in our hands. Jesse ‘Dubmatix’ King cleaned up the scratchy, poppin’ vinyl and re-mastered. Big ups to the J-man!